Welding wires – Bušek s.r.o. 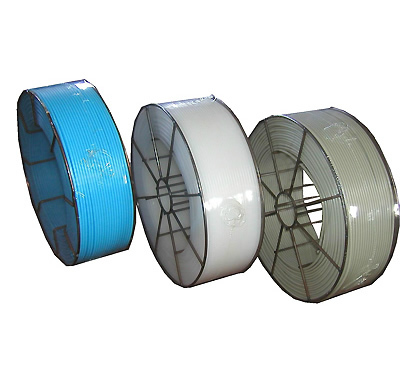 We manufacture polypropylene and polyethylene welding wires with state-of-the-art technology. The wires have a certificate for contact with foodstuffs and are issued with a declaration of conformity. Welding wires are supplied as standard in 3kg or 6kg packages on paper coils for the extruder, others in self-supporting windings. It is possible to make any wire exactly according to the customer’s wishes. Prices will be sent to you by a sales representative on request.